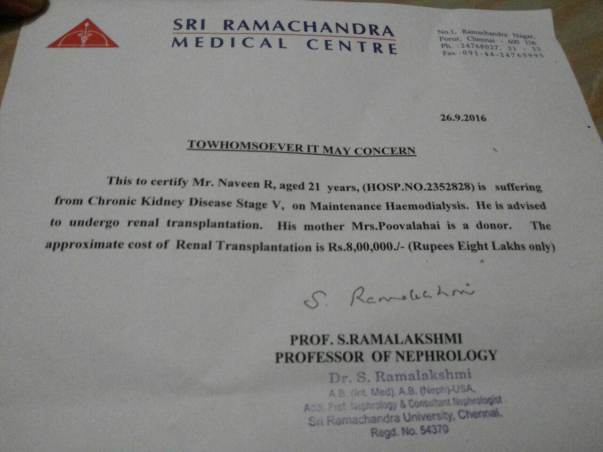 Our friend Naveen is in need of an urgent kidney transplantation. I am one of his classmates. We have decided to help Naveen recover. His father works as a server in Saravanan Bhavan hotel and mother is a homemaker. Naveen is the only child. His classmates has taken responsibility to raise funds for his transplant. Seeking support from all of you to save our friend. 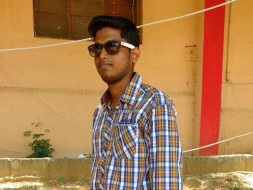 It gives us immense pleasure in informing you that Naveen is doing well now. He successfully underwent the transplant and was discharged. The mother was identified as the donor. He is now on medication and will continue to be on medication until advised otherwise. He's starting to live a happy life now. He's been attending college and focusing on his career. Thank you everyone once again!